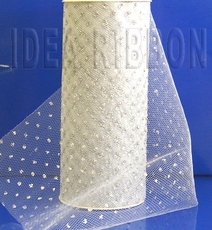 6"x10Yard, 3"x10 yard , 2 sizes Sparkle tulle. 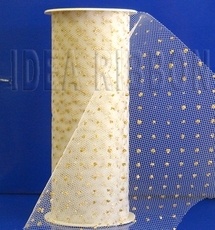 White sparkle tulle with gold dot, and white sparkle tulle with silver dot. Make sure to click the following 2 sizes to see the detail.